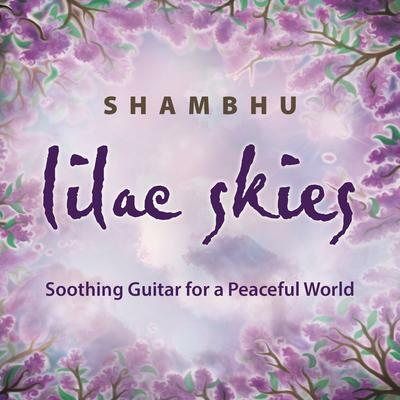 WATERDOWN, ON - Stony Plain Records announces a February 8 release date for Amour, a new CD teaming the roots music guitar talents of Colin Linden and Luther Dickinson. The CD was produced by Colin Linden, recorded at Blackbird Studios in Nashville, and features a backing band dubbed �The Tennessee Valentines:� Dominic Davis � bass; Bryan Owings � drums; Fats Kaplin � violin and accordion; and Kevin McKendree � keyboards. Linden and Dickinson recruited a host of Nashville talent as guest vocalists on the new disc, including the legendary Billy Swan, who sings lead on �Lover Please� (a song he wrote, which was recorded and became a classic hit for Clyde McPhatter); as well as songbirds Rachael Davis and Ruby Amanfu; plus two of Linden�s �Nashville� TV series buddies - Sam Palladio (�Crazy Arms�) and Jonathan Jackson (�I Forgot to Remember to Forget�). 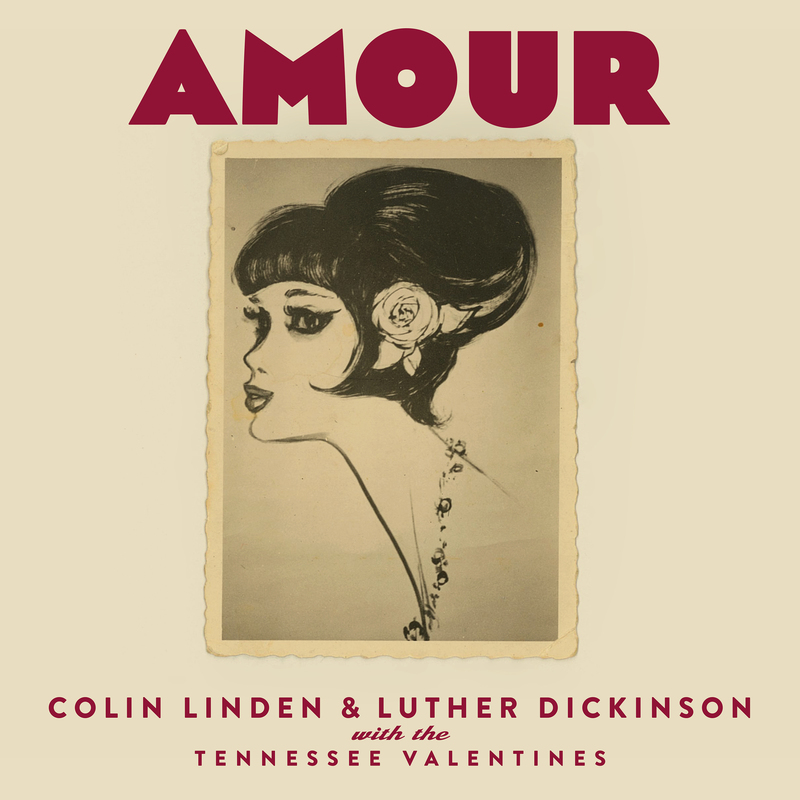 Amour is the first collaboration between Colin Linden (Blackie and the Rodeo Kings, ABC-TV show �Nashville)� and Luther Dickinson (North Mississippi Allstars, Black Crowes) and consists of classic love songs from the Americana world. 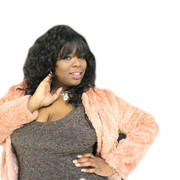 Both Linden and Dickinson are true veterans of roots music, having played with and produced some of the biggest names in the business, while displaying the mantle of countless awards and accolades to reflect that. Amour is Linden�s second album for the label since Stony Plain re-signed the nine-time Juno Award-winning singer/guitarist in 2015 and released his acclaimed Rich in Love CD that same year. Stony Plain was also the home of Colin�s first studio album, The Immortals, in 1986. Colin Linden continues to be a very much in-demand musician, having played on Gregg Allman�s 2011 Grammy-nominated Low Country Blues, as well as Grammy-winner Rhiannon Giddens� album, Tomorrow Is My Turn, and Diana Krall�s Glad Rag Doll. He�s also produced 125 albums, was the musical director on the hit TV show, �Nashville� and toured as guitarist for Bob Dylan, Bruce Cockburn, Emmylou Harris, Robert Plant and, among many others. In addition, he was the featured guitar player on the PBS-TV special saluting gospel music, �In Performance at the White House,� backing such stars as Emmylou Harris, Rodney Crowell, Lyle Lovett and Shirley Caesar. In recent years, he�s also played on the soundtracks for a number of feature films, including Inside Llewyn Davis, The Hunger Games, R.I.P.D. and the acclaimed documentary, A Place at the Table, and in 2015 he was the music director for the special tribute to legendary Sun Records founder Sam Phillips at the Country Music Hall of Fame. A genuine renaissance man of roots music, Colin is also a member of the highly successful trio, Blackie and the Rodeo Kings, who released the highly acclaimed album, Kings & Queens, in 2011, which teamed the band up with such guests as Emmylou Harris, Rosanne Cash, Lucinda Williams, Cassandra Wilson, Patti Scialfa and Holly Cole. That disc was followed by the Kings and Kings album in 2016. For more information: www.colinlinden.com; www.blackieandtherodeokings.com www.lutherdickinson.com; www.stonyplainrecords.com.